Is Iraq facing the worst humanitarian crisis in its history? Lise Grande UN Humanitarian Coordinator for Iraq. It is feared Iraq could be facing the worst humanitarian crisis in its history. More than a million people in Mosul are expected to be impacted by the military campaign aimed at retaking their city from ISIL. The latest data from the UN Office for the Coordination of Humanitarian Affairs (OCHA) shows that more than 10,500 civilians have fled their homes since the launch of the offensive on October 17. The UN predicts there will be around 200,000 residents fleeing their homes in the next few weeks. It plans to build six camps capable of accommodating an estimated 80,000 civilians. However, the potential displacement of one million civilians as the offensive goes on will pose a real challenge to Iraq. Most have been relocated in five camps near Mosul. Over the last seven months, the number of refugees in the Debaga camp on the outskirts of Erbil has surged to 32,000 from 4,000. The camp is operating at full capacity, despite building work to extend it. 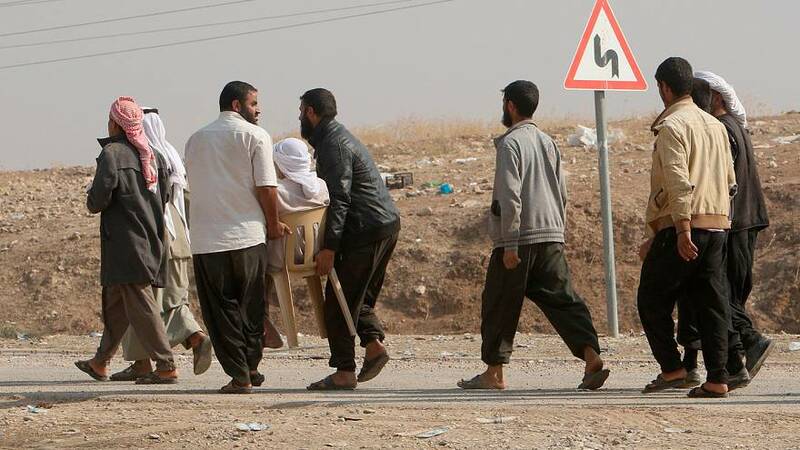 More than 3,000 Iraqi refugees have arrived at the al-Hol camp in north-eastern Syrian. They are mostly mothers, children and the elderly. Work on extending the camp is still underway. Procedures for people arriving are being tightened. Many are left waiting at the border. The UN’s refugee agency predicts that 100,000 refugees will arrive in the al-Hol camp as the operation to re-take Mosul continues. Aid groups have warned of a mass exodus of civilians that could overwhelm camps in the region. Ahed Alkalls from Euronews’ Arabic Service says there should not be too much of a problem welcoming the Iraqi refugees into Hasakeh. “The governorate of Hasakeh is controlled by the Kurdish authorities. It has been spared from the worst of the conflict in Syria and is relatively safe,” she says. The Iraqi forces, Kurdish military forces or “Peshmerga” and the US-led coalition have all joined forces to liberate the ISIL stronghold of Mosul. The city is around 400 km north of the Iraqi capital, Baghdad. It has been under ISIL control since June 2014, when Iraqi government forces abandoned their weapons and fled. “In Mosul itself, there could be a worse-case scenario where more than a million people are impacted by the military campaign. The UN is projecting that the humanitarian operation in Mosul will be the most complex and the largest in the world in 2016,” – Lise Grande, UN Humanitarian Coordinator for Iraq.